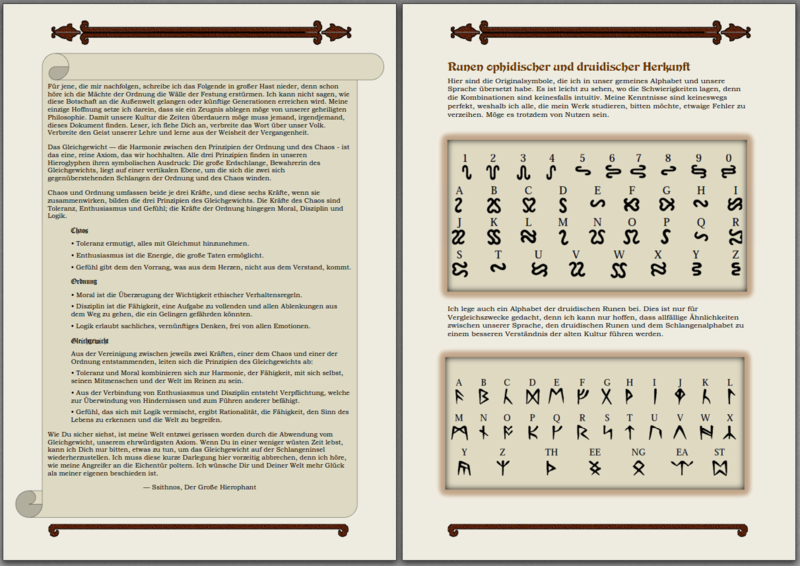 Das nächste Handbuch für Ultima 7 ist fertig. Diesmal das Handbuch für Teil 2 – Serpent Isle. Bei der Gestaltung habe ich mir diesmal freie Hand gelassen, da das originale Layout und die Gestaltung doch eher langweilig waren. Ich hoffe, es gefällt Euch trotzdem. 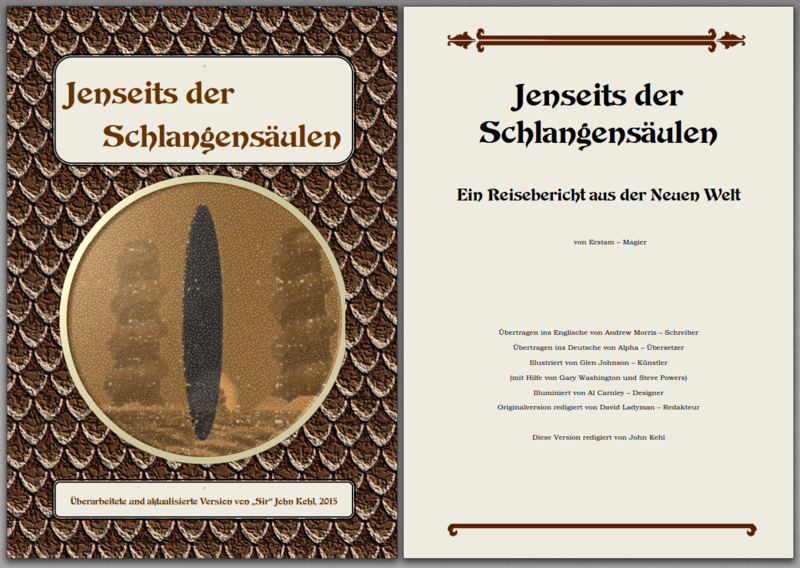 the manual for the Ultima VII Part 2 „Serpent Isle“ is now also translated into German. If you don’t like the Design or the Layout, this time it is me alone to blame. As the original was somewhat boring I decided to have a go at these myself. I hope, you like it. The translation has been reworked to a degree. As Serpent Isle has never been translated to German before, the translators of the manual obviously disregarded the existing in-game translations of the German Version of „The Black Gate“. As a result, the names and namings that have been used were sometimes accurate, sometimes peculiar and sometimes even totally off the mark. All names, creatures, spells and so on now comply with the official Black Gate translation as far as possible. Dieser Beitrag wurde unter Serpent Isle - Handbücher abgelegt am 07.10.2015 von SirJohn.